A delegation of South Korean officials and civilian experts will on Friday visit North Korea to make arrangements for the opening of a liaison office in the North's border city of Kaesong. According to the unification ministry, this 14-member team which is led by Vice Unification Minister Chun Hae-sung, will leave for Kaesong today to inspect facilities, Yonhap reported. 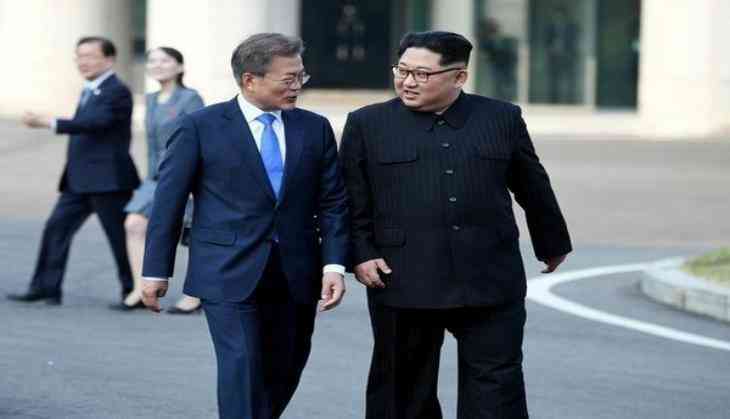 Following the North Korean leader Kim Jong-Un's and South Korean President Moon Jae-In's summit in April and May, the two Koreas decided to open the liaison office at an early date in anticipation of increased cross-border exchanges. From 2004 to 2016, the two Koreas operated the joint industrial complex. South Korea's capital with the North's cheap and skillful labor had set a successful example of economic cooperation between the two Koreas. But, in protest at the North's continued missile and nuclear provocations, South Korea closed the factory park in early 2016. However, the opening of the liaison office is seen as a first step to implement promises the two leaders made in their recent summits.